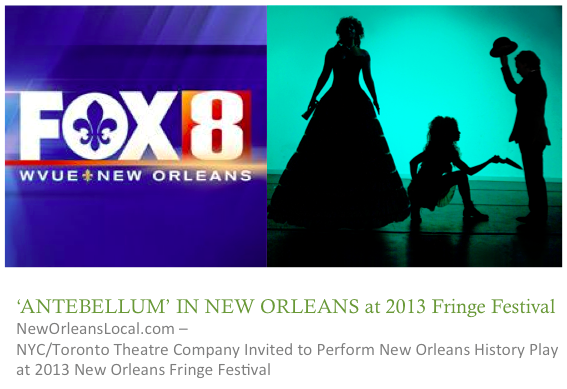 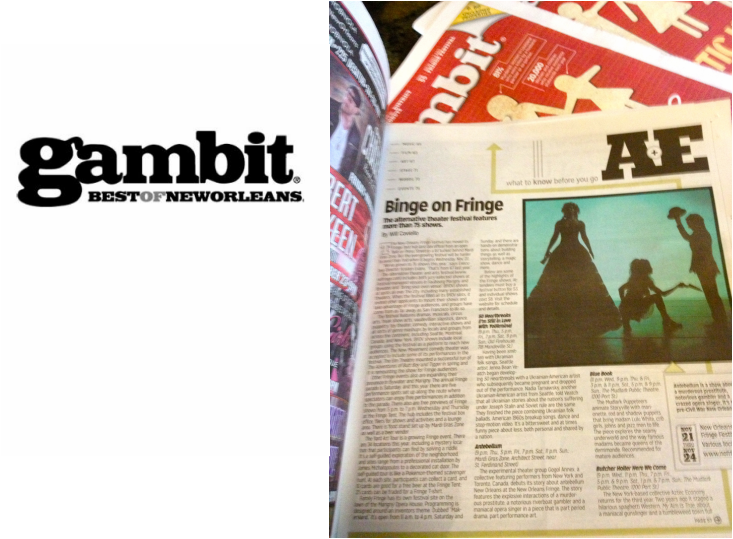 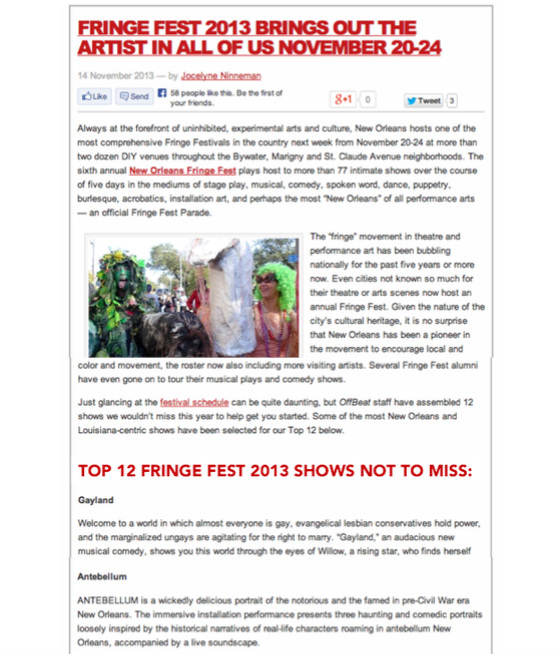 GAMBIT WEEKLY SPOTLIGHTS ANTEBELLUM IN THEIR PRINT EDITION! 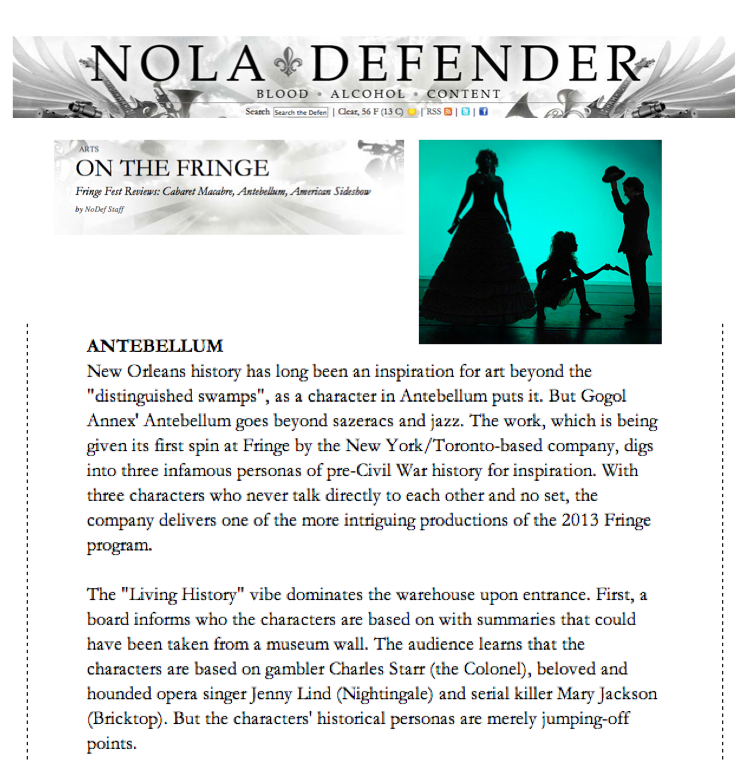 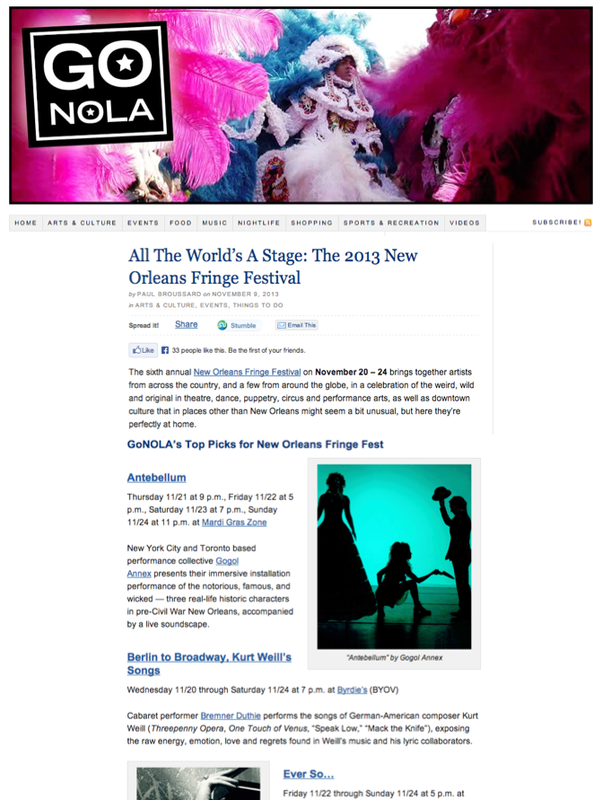 NOLA DEFENDER GIVES ANTEBELLUM A GLOWING REVIEW! 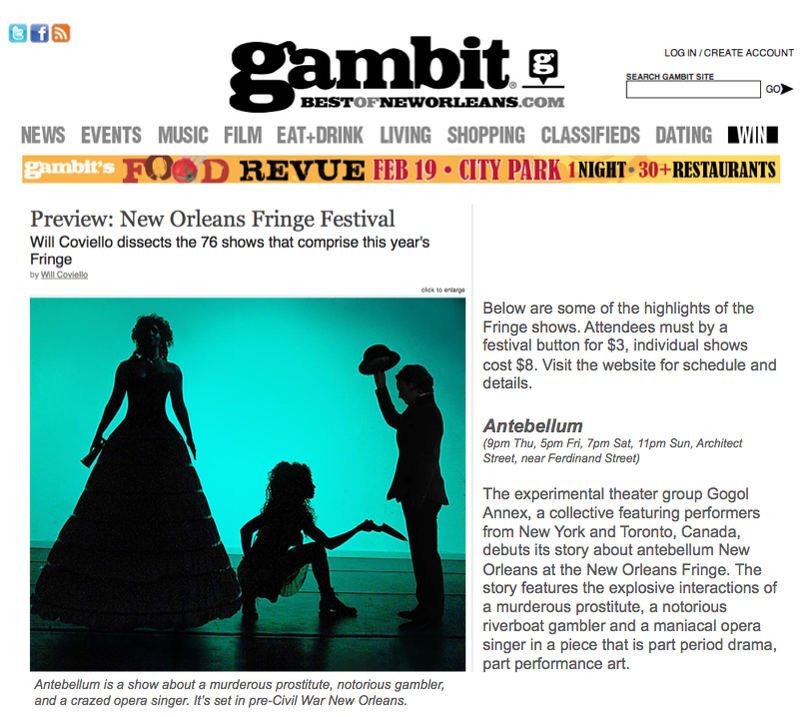 'ANTEBELLUM' TAPPED AS FRONTPAGE STAFF PICK ON KICKSTARTER! 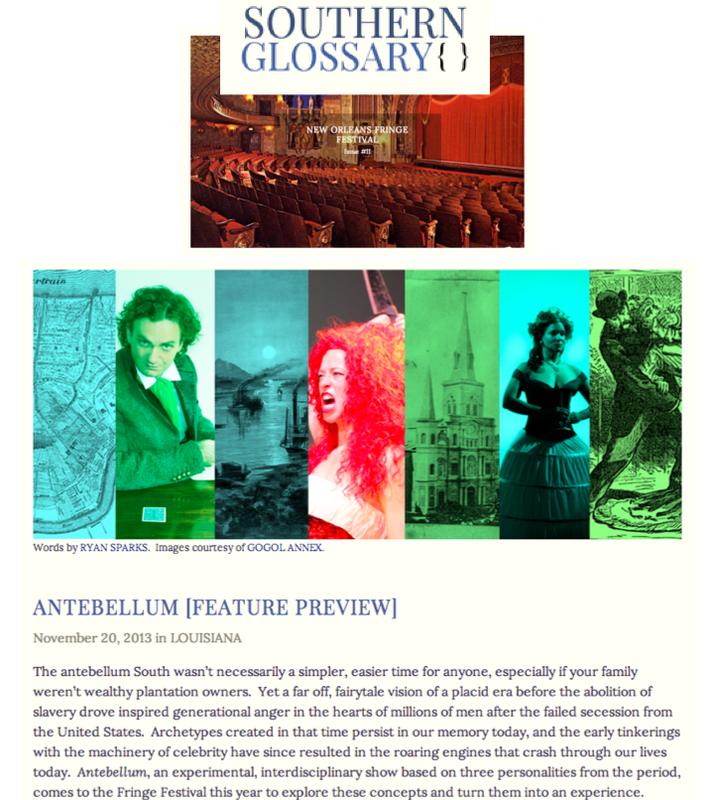 Today, our Kickstarter campaign for Antebellum was named a 'STAFF PICK' by the Kickstarter team itself! 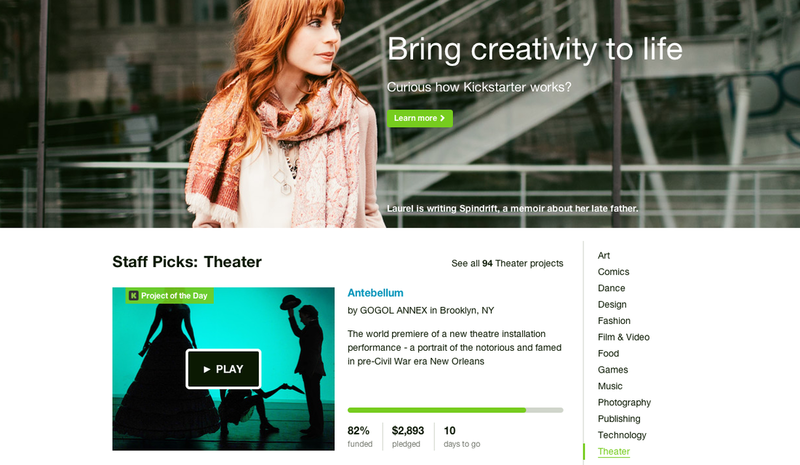 So incredible to be singled out amongst so many other inspirational projects, and to be the sole project featured on the Kickstarter homepage. 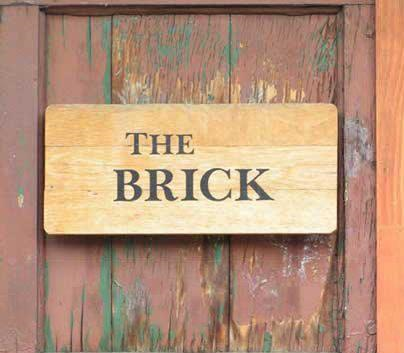 New York City / Toronto.